Today’s post is written by industrial and systems engineering student, Jessica Salazar. Jessica is sharing the cool perks she received while interning at Wal-Mart. This past summer I interned with Wal-Mart at their headquarters in Bentonville, Arkansas. I was a bit nervous when I found out I’d be there for the simple reason of well… it’s Arkansas. Little did I know, it would be a summer that I would never forget. The first week of my internship was also shareholders week. Every year Wal-Mart goes big for their shareholders' meeting, and when I say big, I mean BIG. The meeting consisted of thousands of employees from across the world screaming with pride. The MC was Hugh Jackman. There were performances by Kelly Clarkson, John Legend, and Jennifer Hudson. Tom Cruise made an appearance and discussed the importance of women in the workplace. Earlier that week I was able to see Elton John, Ed Sheeran, and Luke Bryan perform, all as part of shareholders' week. It was so awesome to see everyone join together and get excited about making Wal-Mart a better place for the employees and the customers. 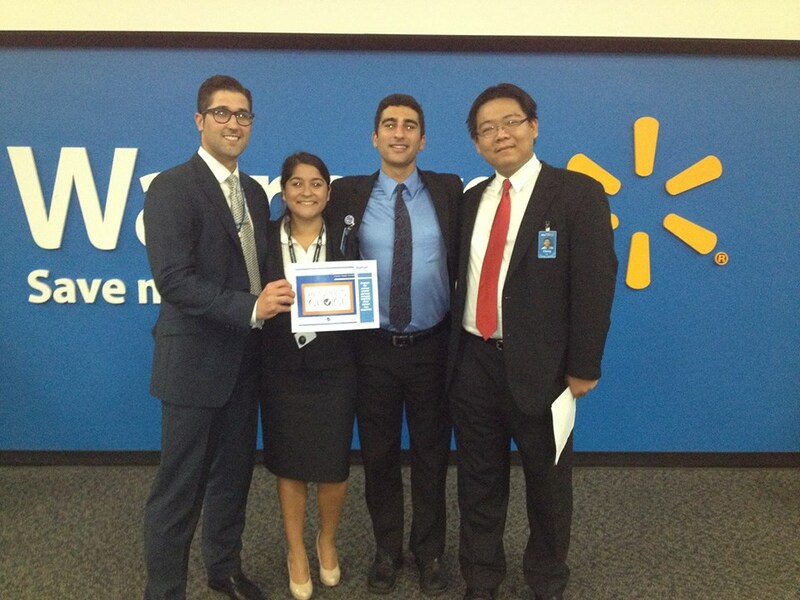 I was also able to get involved with the Wal-Mart Associate Case Competition. The competition is put on for all full-time employees at the Wal-Mart home office. My team consisted of four other interns, and we had one week to solve the problem of how to increase Sam’s Club membership and top line revenue. We had a lot of fun working together and learning about the company and industry. When we found out that not only were we the only intern team to compete, but the only one to have made it to the finals, we were ecstatic! We presented to a panel of executives and won 3rd place.